According to UIDAI officials, if you don't use your Aadhaar for three consecutive years- for example, you don't link it with any service, or don't use it for any transactions, it might get deactivated. Also, a vital proof of identity, it can come handy anywhere and anytime. However, if you don't use it at all, it may get deactivated. 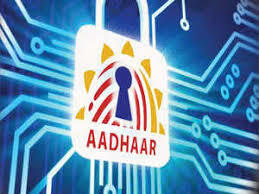 Click on 'Verify Aadhaar number' link under the 'Aadhaar services' menu. On the next page, you'll be required to enter your Aadhaar number, and the system-generated security code. Enter these details, and click on 'Verify' button. If your Aadhaar has been deactivated, you can get it reactivated by visiting the nearest Aadhaar enrolment centre. You'll be needed to fill out an Aadhaar update form, re-verify your biometrics, and pay the required fee.